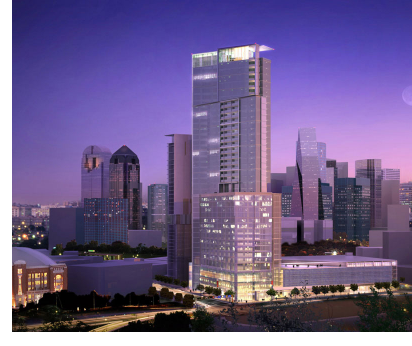 ​ DALLAS – Hines has filed building permits for what would be the tallest tower in Victory Park development near downtown. The 39-story skyscraper will be constructed across the street from American Airlines Center arena and next door to the W Dallas Victory Hotel and Residences. The residential tower will include 334 apartments and 9,500 sf of retail space.